Tips and strategies to help support children with autism or sensory issues during the holidays. Hard to believe that Christmas is quickly approaching yet again. While, in most households, that means stringing lights, decorating the house, and buying presents for others, it isn't necessarily that simple for autism families, like mine. Christmas is basically sensory overload for kids with autism or sensory processing disorder. Then throw in things like parties, disruptions to routines, and new foods or people or places and things are bound to go awry. In other words, Christmas can become a bit of a nightmare. As a parent, I am always trying to keep my kids informed of what will be occurring around major holidays. 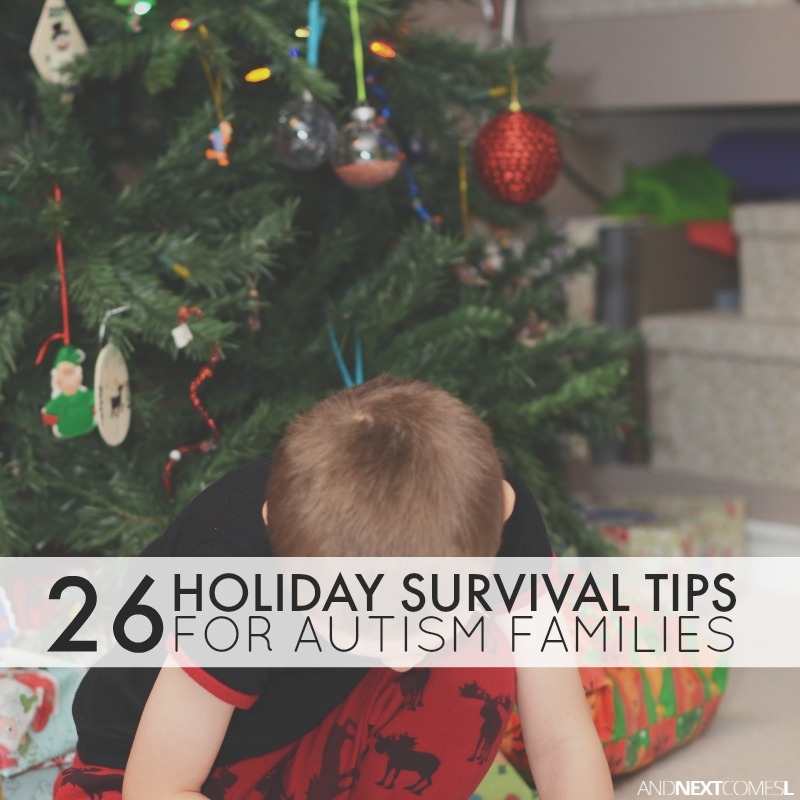 Thankfully, we have been able to keep most of our Christmases low key and successful over the years using these 26 holiday survival tips for autism families. And since we embrace my son's hyperlexia around here, I thought it would be fun if I presented these tips to you in ABC style. 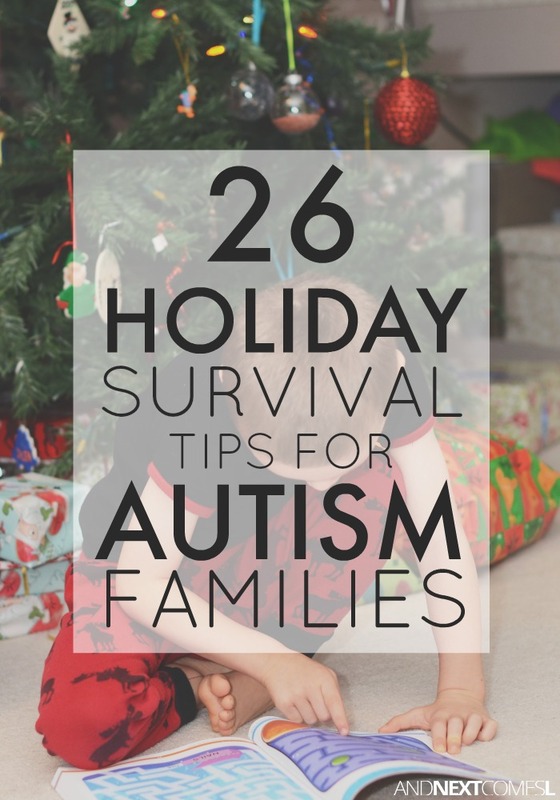 So here are 26 tips to help both special needs parents and their kids survive the holidays from A to Z! 7. Give your child breaks and adequate time to adjust to new settings, people, etc. My boys adore when I play Christmas carols on the piano so that they can sing along! 20. Try to keep things familiar, including routines, food, bedtime rituals, friends, family, etc. This post is part of a monthly series called Parenting Children with Special Needs. This month's topic is conquering the holidays and you can find the other posts regarding this topic below. I love this list and your practical ideas for helping autism families survive the holiday season. We try to keep things low key and limit the number of events planned as that works best for us. It can just get way too much sometimes, can't it? So many great tips here! I love the ABC format of the post.